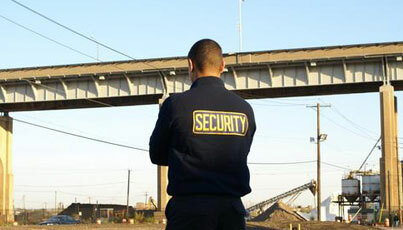 At Cavalry Protective Services, it's very simple – we offer the best in quality security services. Our Investigations Division is comprised of seasoned personnel from law enforcement agencies throughout the nation. With these resources, we can manage the recovery and protection of your assets with maximum effectiveness. We use our research and investigative skills to locate and identify counterfeit products exhibiting registered trademarks or service marks. Trademark usage investigations are performed to assist in confirming and quantifying reported counterfeiting or infringing activity. Copyright and Patent protections can be enforced through due diligence, comprehensive reporting and investigative techniques. Our working knowledge of the trademark and counterfeiting laws as they apply in most states, along with our contacts with law enforcement agencies across the nation, enable us to serve our clients in an efficient and professional manner. We can assist in the acquisition and execution of a court-issued seizure order through selection and acquisition of all unlicensed inventory from the named defendants. We've developed a program whereby the merchandise can be acquired in a simple, less costly manner. Our program serves to remove infringing product from event venues, and deter future sale or manufacture of illicit product. Also, causation factors and state and federal motor vehicle laws as they apply to criminal and civil tort proceedings. Computer generated incremental diagrams depict all pertinent phases of the motor vehicle accident sequence, including point of possible perception, pre-impact, point of impact, post-impact and final rest positions. All of our operatives are proficient with video and still photography, and are equipped with a full range of lenses from wide angle to super telephoto. We employ fully-equipped vans, as well as a variety of surveillance vehicles as needs dictate. Our versatile, state of the art, light intensification system is available for the collection of evidential imagery, and can provide still and video records with little or no ambient light. Videotaped depositions and "Day in the life..." documentaries are available with quality copy and edit equipment. This type of photographic documentation is useful in showing the extent of an alleged victim's injuries or condition if the plaintiff cannot appear before a judge or jury. Such documentary evidence can be most useful to insurance companies and defense attorneys when faced with a plaintiff who is feigning injuries and is filing a false claim. Thorough preparation, professional execution, and comprehensive reports translate to significant monetary savings for the client, along with a distinct advantage during settlement negotiations and jury trials. Utilizing certain networks, we are able to supply current addresses of witnesses, debtors and evasive miscreants. Personal service of process adds to our wide array of professional services. Comprehensive and thorough written or recorded statements are obtained from witnesses or victims in a professional and lucid manner. Proceedings can be conducted at a place chosen by the person to be interviewed, or one selected by the client. Through modern investigative methods, we are able to provide our clients with a comprehensive analysis of all real and personal property which can be used toward the payment of debts. Searches can be performed on a county, state or national level. Public and DBA filings, UCC and business credit reports, bankruptcies, real property, federal, state and county records can be acquired and compiled for your specific needs. Verification and date of incorporation, registration, officers, agents and shareholders can be obtained, in addition to the status of a corporation. Criminal history, driver license records, credit profiles and employment histories are obtained to assist the potential employer in the verification process for any applicant. Detailed reports describe pertinent aspects of the candidate's deficiencies, enabling the client to make better, informed decisions. Confidentiality, discretion and the rights of the applicant are considered extremely important throughout the course of any background check. A variation of the pre-employment investigation, but just as important in its own right, is the pre-nuptial Investigation. Discretion and diligence are practiced while performing checks on a candidate aspiring to a lifelong position. Aerial, medical and technical photography are available to assist in trial preparation.